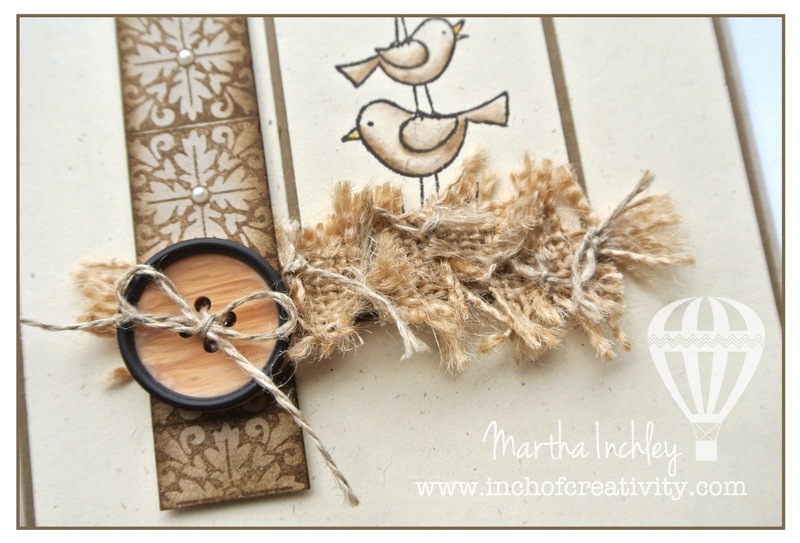 Inch of Creativity: For the Birds Card. Good Morning! Did you have a good long week-end? Was it filled with chocolate!?! O-mi-goodness... the chocolate! Why did the "Easter Bunny" buy SO MUCH chocolate!?! My children are too young to keep track of their chocolate and this Momma has absolutely NO will power! Somebody save me!!! 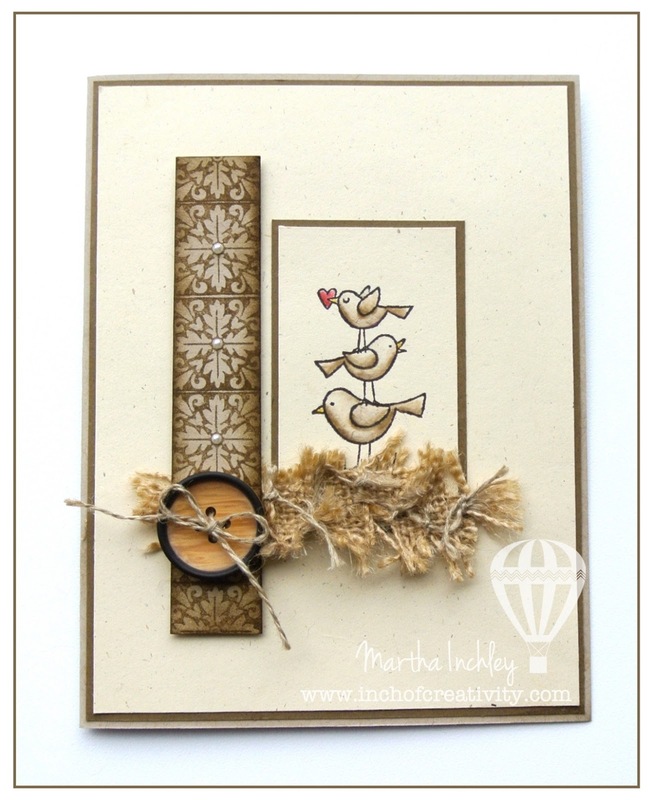 Today's card uses one of my favourite stamps sets: For the Birds. (Not retiring this year! Yeah!) I stamped the birds on Naturals Ivory cardstock in Early Espresso Ink. I then coloured them in with a blender pen, Soft Suede, Real Red and Crushed Curry ink. To pick up ink with a blender pen, simply squeeze your ink pad before opening. This transfers ink to the top, inside of the lid, allowing you to dip your blender pen in it. Easy Peasy! The side bar is created with a stamp from the set: Hello, Lovely (Retiring). I repeatedly stamped it on Crumb Cake cardstock in Soft Suede ink and then brushed the edges with Soft Suede ink! I embellished the centres with the tiny pearls. Thanks for stopping by and checking out my card... but before you leave, I want to make sure you know that there is FREE SHIPPING ON EVERYTHING (not including expedited shipping) until the 25th of April. Also, don't forget the retiring list is out and everything is "as supplies last", even stamps! So make sure you get your "must have" retiring items now! * Gumball Green - Everything! Make sure your order NOW! There really is no better time!